Logging stresses animals living in tropical rainforests by disrupting and removing some of their habitat, but a new study shows that logging can cause further problems for the forests’ inhabitants – by providing the perfect conditions for invasive species. Black rats are an invasive species across much of the world, having been introduced via shipping by Europeans since the 1600s. Their invasions have caused bird extinctions and brought new diseases that have infected native mammals. While rats are widespread, they largely avoid mature forests. These forests contain large trees, providing little low-level cover, and have a forest floor covered with leaves, which are noisy for rats to run over, attracting predators. The new study shows that logging makes rainforests attractive to black rats. Logged forests have denser undergrowth, providing more cover for rats scuttling along the forest floor, and also more fallen wood, which harbours more rat food in the form of insects. While these factors are good for many small mammal species, both invasive and native, black rats appear to favour these small changes more strongly than native species. On the island of Borneo, black rats have been present for decades, but have largely stayed around urban areas. However, they have recently started to enter the margins of the rainforest, encroaching on the habitats of native small mammals. To learn more about why black rats are moving in now, an international team of researchers led by Imperial College London studied how the rats behave when travelling through forest habitats in Borneo. The results are published in the journal Biotropica. The team tracked the movements of more than forty rats across four species, including black rats and three native species. They found that across all the species, black rats have the strongest preference for disturbed habitats associated with logging, facilitating their invasion into this new habitat. 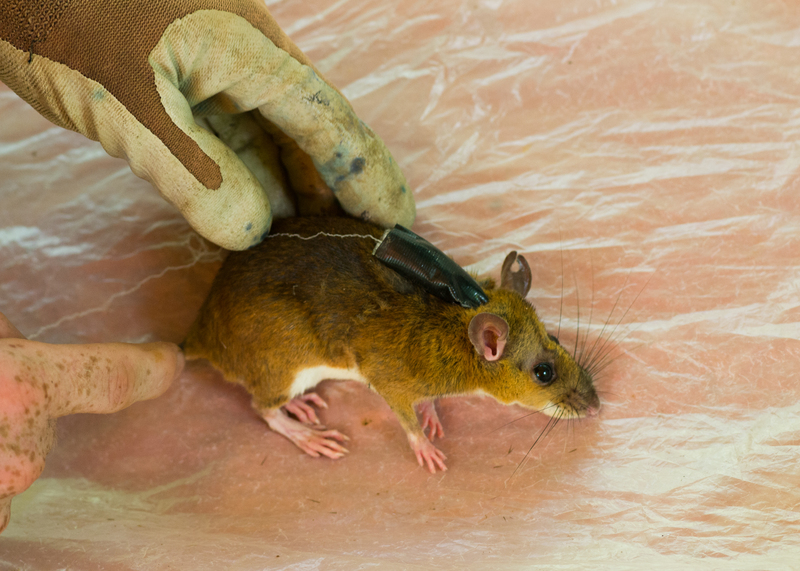 To find out exactly what kinds of terrain different rat species preferred to travel on, the team first caught the rats in a trap. They then attached a spool of thin cotton to their backs with a safe, dissolvable glue, and attached one end of the cotton to the trap site. As the rats ran off the cotton reeled out behind them, snagging on areas of the forest floor and allowing the team to follow the exact trail taken by each individual. The next stage of the research will be to track how rapidly populations of rats are building up and what the impacts of this will be. “We need to understand more about what happens when and if black rats start to replace native small mammals in the forest,” said Dr Ewers. 1. “Movement behaviour of native and invasive small mammals shows logging may facilitate invasion in a tropical rainforest” by Authors: Robin Loveridge, Oliver R. Wearn, Marcus Vieira, Henry Bernard and Robert M. Ewers will be published on Tuesday 2 February 2016 in Biotropica. 2. About Imperial College London: Imperial College London is one of the world’s leading universities. The College’s 14,000 students and 7,500 staff are expanding the frontiers of knowledge in science, medicine, engineering and business, and translating their discoveries into benefits for society.